As the Chinese military base in Djibouti is set to complete by next year, China has repeatedly expressed that it has no intention of following the US’s example in expanding its global military influence and projecting power over other countries. But what do the Chinese want to achieve in Djibouti? 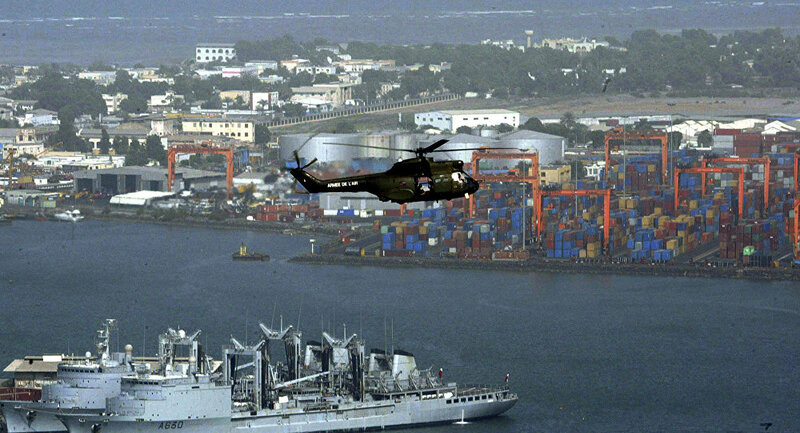 China’s facilities in the small East African nation of Djibouti are meant to reinforce Chinese peace-keeping and anti-piracy missions near the Gulf of Aden and Somalia, according to the Global Times. “They are misinterpreting China's foreign policy, believing that China intends to follow the US pattern of building military bases globally or to meddle in other countries' domestic affairs,” Li Weijian, a professor of West Asian and African Studies at the Shanghai Institute for International Studies, told the Global Times. China has a very small number of overseas military deployments and the country largely lacks the ability to protect its citizens and interests in Africa. Other countries have an excessive amount of military bases all over the world, particularly the US which has military bases in 42 foreign countries. Djibouti is also no exception to an American military presence as it has the largest US permanent military base in Africa, Camp Lemonnier, which is home to more than 4,000 personnel, mostly part of the Combined Joint Task Force. “The facilities in Djibouti serve to protect China's economic interests in Africa and to help safeguard regional peace, as China is only beginning to learn to behave like a responsible global power,” Global Times reported Li as saying. Considering that both the US and China will be rubbing shoulders in Djibouti, it raises some concerns regarding how will the two powers manage to cooperate in the African country. The US base in Djibouti is primarily used by Special Forces for unmanned operations against the jihadist groups in the region. The US base is located near the main airport of Djibouti. Attack helicopters and other US military aircraft use the runway of the airport. Hence, the United States frankly does not want Chinese military aircraft; including unmanned aircraft to fly anywhere near US facilities. Djibouti is situated on the Bab el-Mandeb Strait and is gateway to the Suez Canal. It enjoys unusual stability in an otherwise volatile region and provides an important port for landlocked Ethiopia. Its proximity to troubled regions in the Middle East and Africa makes it a preferred location for foreign military bases, so it seems that China and the US will continue to compete for influence in Africa. Chinese Ministry of National Defense admitted in February that China has begun construction of logistics facilities in Djibouti to support troops in ships in the Gulf of Aden and waters off the Somali coast. In response to claims that “China is elbowing Americans out of the strategic East African footprint,” Djibouti Foreign Minister Mahamoud Ali Youssouf said that the country greets China's presence in Djibouti, “just as we previously welcomed forces from the US, NATO, France, the UK, Italy, and Japan, who are present in our country,” Global Times reported. However, Pentagon analysts predict that in the next decade China will build a few more military bases. One of the most likely candidates for the placement of the Chinese outposts is Oman, where Chinese military ships often stop personnel leave and resupply of material resources. Some experts have predicted that a future Chinese base could be built in the Seychelles or the Pakistani port of Karachi. The officials of these countries, however have so far, made no statements about this. “China before our eyes is transforming from a purely continental state into a global maritime power,” Gazeta.ru reported Barynkin as saying.